The 8th Grade Division of the AC Showcase featured some of the best talent in the country. 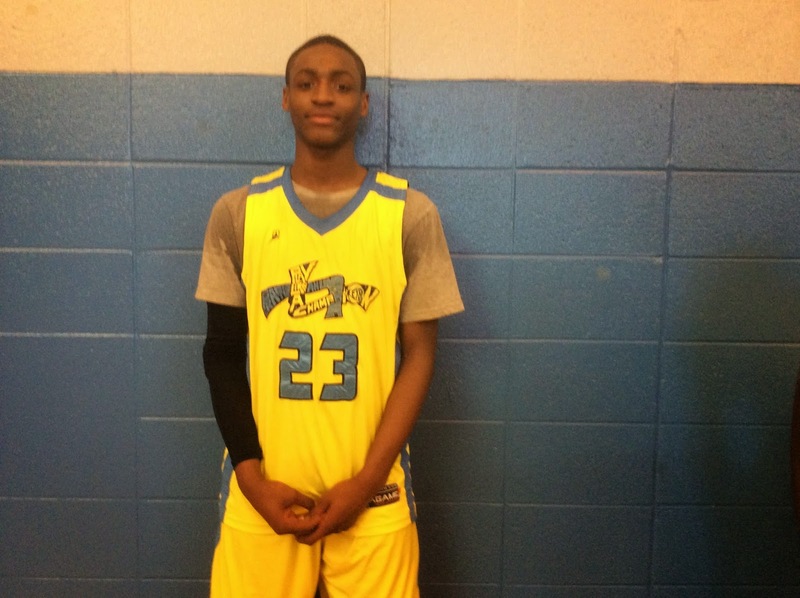 Here’s Part 4 of our top performers from the weekend. 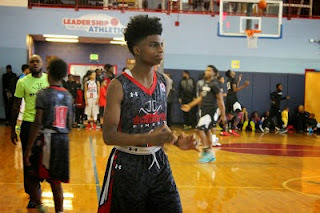 Khyree Temple Forward (Team Final)- Many players have stepped heir game up for their 8th Grade season but Temple might have taken the biggest leap. The lefty showed out during the AC Showcase and lined himself as one of the top wings in the country. He’s developed his ball handling, play making and outside shot. But he still flourishes in the open floor by running rim to rim like a deer. He had a big game in the finals collecting on a game high 28 points and finishing off the contest by catching an alley-oop dunk. We were greatly impressed with his skills. Fahmir Ali Guard (Team Final)- Ali made his Spotlight debut and he knew we missed his scoring so he treated us with some smooth buckets during the championship. He nailed 3 treys and scored on a couple more floaters on his way to 18 points. He has the enact ability to get his shot off regardless of the defense and seems be a little more athletic than we give him credit for. Mark Bradshaw Guard (Team Final)- My scout at the Sovereign School said Bradshaw looked like a miniature James Harden during their semifinal match-up against CIA Bounce. The high scoring southpaw finished with 3 treys and 16 points after also scoring 14 points against Team Bos from Boston. He seems to have settle in with Team Final. Kasim Tolliver Guard (Team Final)- In the finals Tolliver looked like a kid in the candy store dropping dimes to the loaded squad. He got out in transition and spoon fed his teammates for buckets. He looks to back quarterbacking one of the top teams in the region. 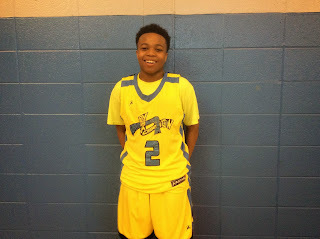 Eligah Wynn Guard (Harlem Jets)- Wynn’s squad came up short in the finals but the point guard once again proved to be one of the best guards in the region. He tallied 21 markers in the championship after also scoring 20 points against City Rocks. This season he has been one of the most consistent guards in the country. This kid is a bulldog. Adeleye Oyekanium Forward (Harlem Jets)- His name might be difficult to pronounce but his game is easy to remember. The forward added another big weekend to his resume while posting 18 points in their championship loss. He also destroyed competition during pool play especially the 22 markers he posted against City Rocks. He and Wynn might be one of the best tandems around. 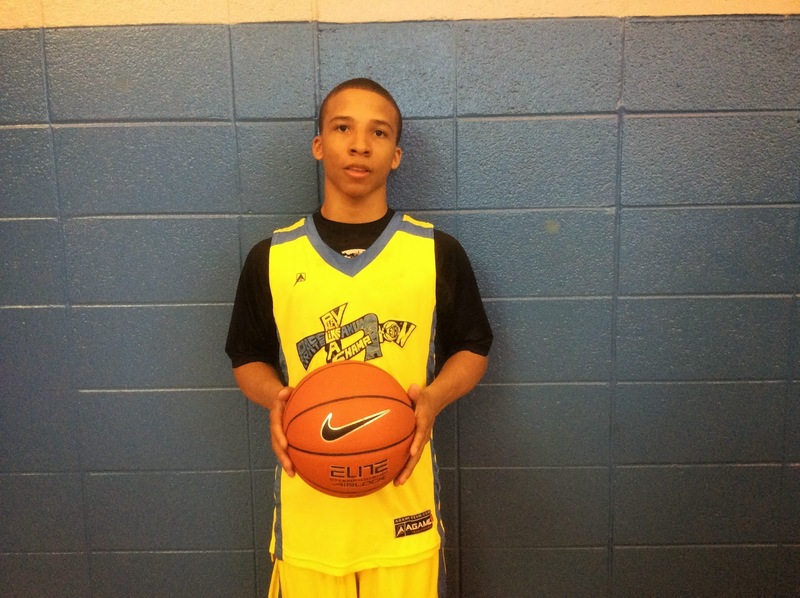 James Bishops Guard (B’More Finest)- Bishop is perhaps the best pure scorer on our circuit. This kid dazzled the AC Showcase with a 24 point outburst against Buffalo Bounce and another 22 points versus NY Lightning. One thing is for certain this kid can find the bottom of the hole. His scoring reminds me of Nate “The Great” Pierre Louis. Tah Jai Waiters Guard (CIA Bounce)- Waiters also made his Spotlight debut and didn’t disappoint. His big was a 20 point outing versus Team Final in the semifinals. He possesses the knack to score and does it very easy. He made the most of his only trip to the Spotlight this season. Papie Roberts Guard (Newark Pharaoh)- Every tournament Roberts light ups someone ad in this event it was Team Bos. He hit the Boston crew for 27 points. The strong pesky guard is hard to contain and plays with enormous energy. 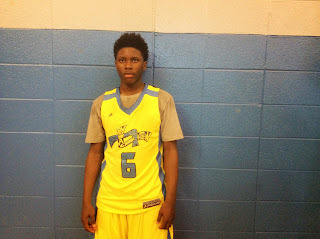 Fatayn Wesley Guard (Play Hard)- The Play Hard guard stroked the rock like it was his last time on the floor. He nailed 6 treys versus NY Lightning and also had 20 points against Buffalo Bounce. 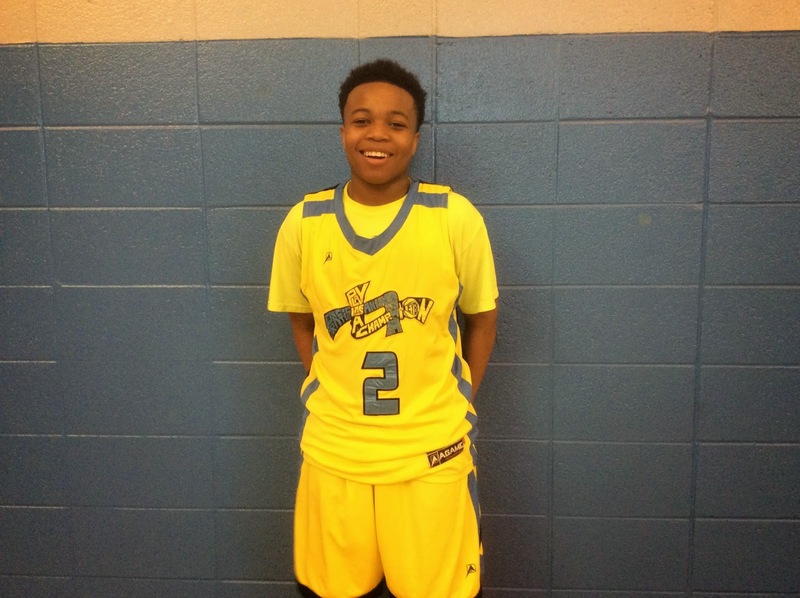 He has proven to be a legit scorer during his play on the Spotlight circuit.